World Elephant Day is an international annual event dedicated to the preservation and protection of elephants and never before has there been a more immediate need to highlight the plight of these magnificent animals and to continue with the fight to stop poaching. Just a few weeks ago, the world’s “largest ever” seizure of 7.2 tons of ivory in a shipment of frozen fish, with a street value of £7m was achieved in Hong Kong. This is an alarm call that ivory trafficking continues at horrifying rates. According to CITES, Hong Kong remains a hub of smuggling activity because of it’s legal “worked” ivory carvings. 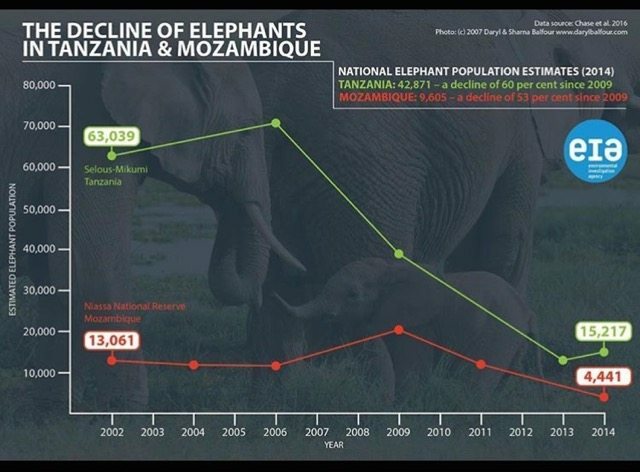 Further delays are deadly for Africa’s elephants and so much still needs to be done. That said, Britain has exported more ivory antiques since 2010 than any other country, according to a recent report by the Environmental Investigation Agency. THIS IS TOTALLY OUTRAGEOUS. Why are we exporting ivory? A lot of people don’t realise that there is still a legal ivory trade in the UK. The problem is that the legal trade can provide a cover for criminals to launder illegal elephant ivory, and sends the message that buying ivory is still ok. WWF are calling on the government to ban the trade and make sure that the UK is not fuelling the global elephant poaching crisis. In Michael Gove’s first speech as Environment Secretary he said that it’s his responsibility to tackle the illegal ivory trade. We should be holding him to that by asking him to make a stand for elephants and ban the legal trade in the UK.This is clearly stimulating consumer demand globally and the UK government should STOP issuing permits for all ivory exports WITH IMMEDIATE EFFECT. The current government has so far failed in it’s promise to publish a consultation on tightening the rules on ivory sales. On average 1 African elephant is killed every 25 minutes for its tusks. The UK must play no part in fuelling the global demand for illegal ivory and the elephant poaching crisis. They are the most incredible creatures as we all know and unless much more is done and very quickly, at that trajectory above, they will be extinct very soon. Can you imagine that? That we wiped them out because of our greed and turned a blind eye to the illegal trade in ivory? They’re the largest land mammals but how much do you know about these fascinating creatures? 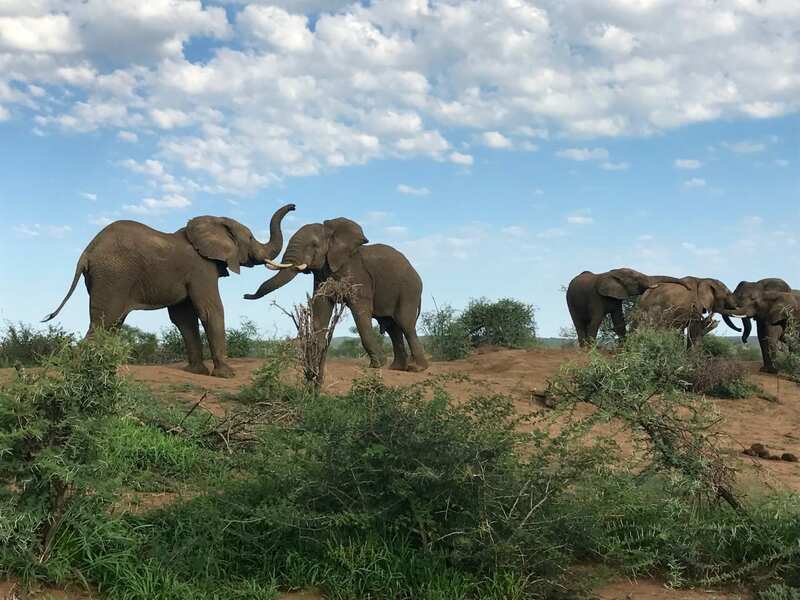 In celebration of World Elephant Day this Saturday (12 August) thank you to the travel experts at Rickshaw Travel who have put together their top fun facts about elephants for us to share with you. Males prefer to live a bachelor lifestyle while females spend their entire lives in tight family groups made up of mothers, grandmothers, aunts, sisters and daughters. The eldest female normally leads the group. Despite what you may have seen in cartoons, elephants can’t jump. And there’s one simple reason why: they don’t have to. Most animals jump to get away from predators but elephants keep themselves safe by relying on their size and sticking to their protective groups. You’ve probably heard an elephant trumpet, but they also produce rumbles so low that humans can’t hear them. If you get anywhere near an elephant herd you may feel a physical buzzing, which is the elephants talking to one another. Elephants spend their days walking through forests, grass and water; however, they primarily navigate with their trunks rather than sight as their eyesight is poor. Some may think that elephants drink through their trunks, but in fact they use them as “tools” to drink with, by filling it with water and then using it as a hose to pour into their mouths. An African elephant can weigh as much as 16,500 pounds, making it the largest terrestrial animal. So, it’s no surprise that they need to eat a lot to keep their bodies moving. Wild elephants spend most of their time looking for food and they eat plants of all sizes as well as fruit, grass and bamboo. There are only two distinct species of elephant left in the world: The African elephant and the Asian elephant. The oldest known elephant in the world lived for 86 years. The average lifespan of an elephant is from 50 to 70 years. The world’s oldest elephant was an Asian elephant called Lin Wang who died on 26 February 2003 at Taipei Zoo in Taiwan. There are an estimated 15,000-20,000 captive elephants around the world, most of which live in harsh conditions. Riding elephants is on some travellers’ wish lists but the truth is that cruel practices are used to tame these creatures – torture methods including confinement, chaining, forced starvation and beatings from a bullhook are used during infancy. This abuse happens behind the scenes so is often overlooked by tourists.